What better way to start a new year than updating your website? 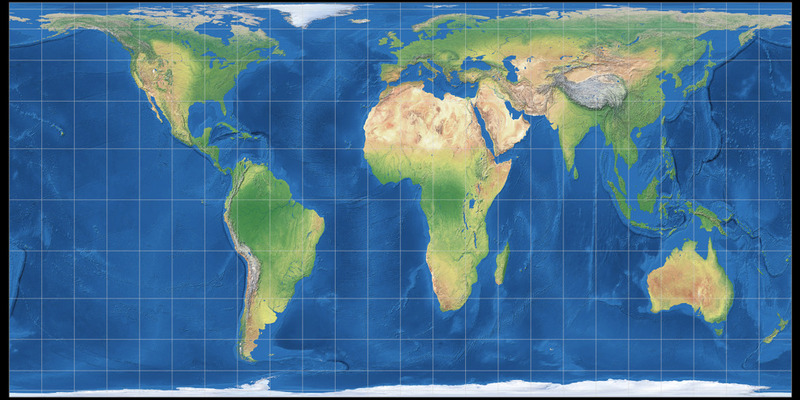 However, I will use these images only for new projections, so the existing Tissot images will not be replaced. At least not in the foreseeable future – that would be a lot of work, and since the previous images are not really bad in my opinion, it is not worth the effort. Maybe one day I’ll take the time to replace the old ones… but maybe not. Firstly, I added a series of new projections, although, to be honest, I didn’t really want to. 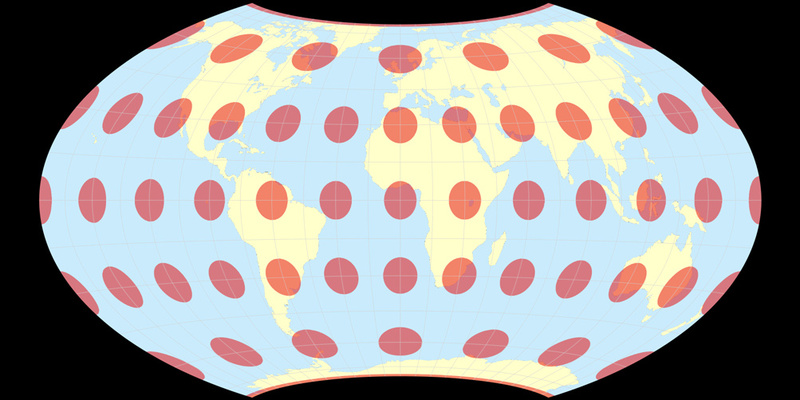 They all are cylindrical equal-area map projections. 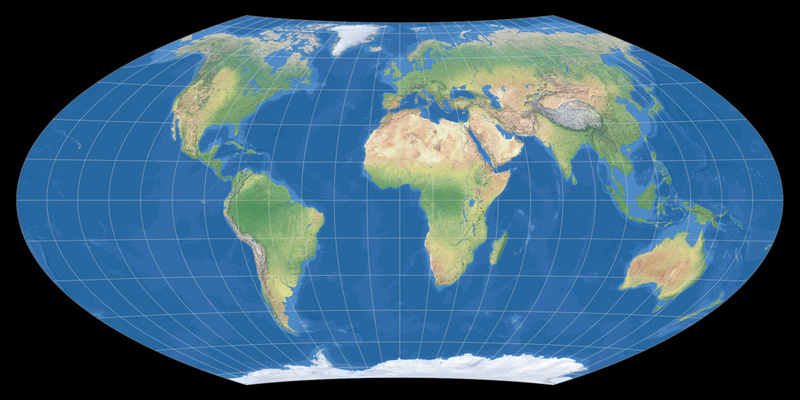 If you want an equal-area map, do not use a cylindrical projection. 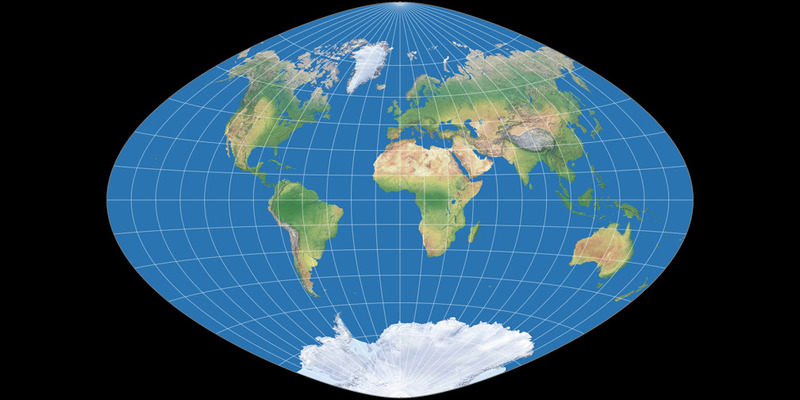 If you want a cylindrical map, do not use an equal-area projection. 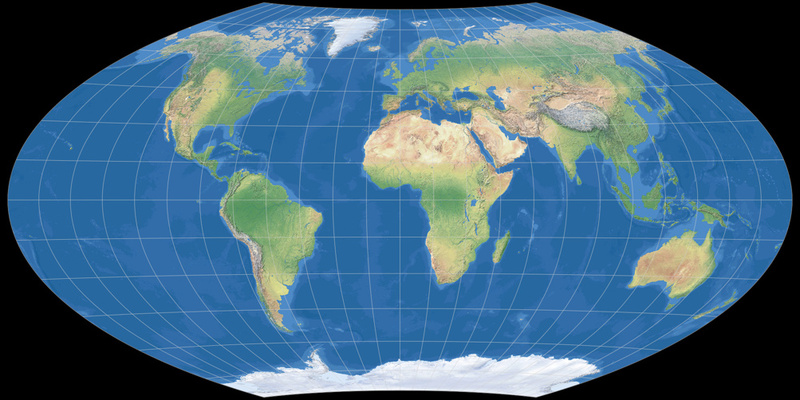 Forcing an equivalent projection into rectangular shape inevitably leads to considerable distortion of the shapes. 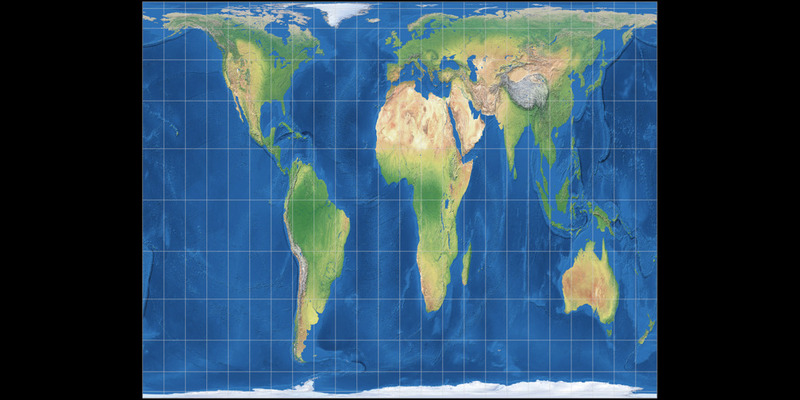 In my opinion, the advantages of a rectangular map are not big enough to accept these distortions. 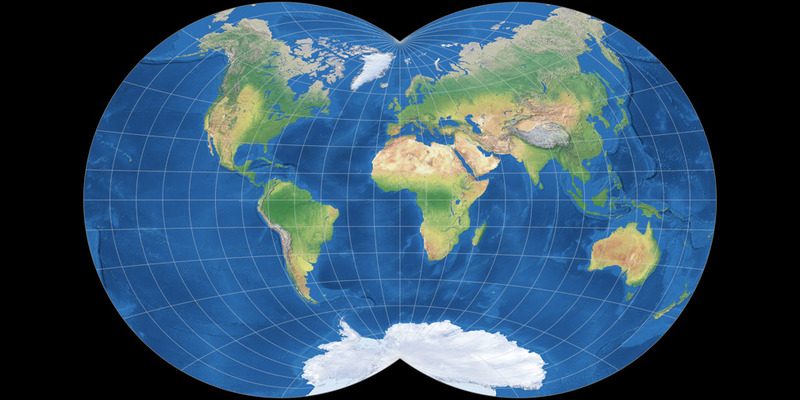 Moreover, all cylindrical equal-area projections differ in one regard only, namely the selected standard parallel. I find it quite unnecessary to assign eight individual names if, in the end, it is the same projection method, changing only one single parameter. Granted: Most of these projections were created at a time when drawing a new map with a modified standard parallel was much more complicated than typing in an arbitrary value between 0 and 90, clicking a button and waiting for the projection software to finish rendering the map. So, maybe the different names are justified, even if it may seem a bit awkward from today’s point of view. 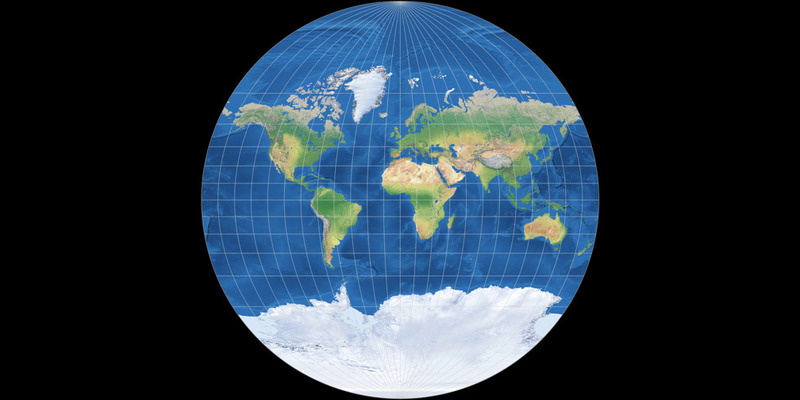 But on the other hand, map-projections.net was created specifically to compare similar projections and to be able to discover their sometimes very slight differences. So what am I talking around? 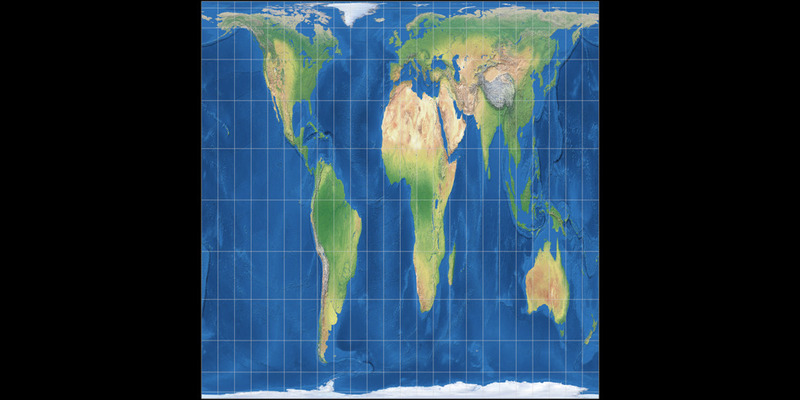 – Here are the newly added, cylindrical equal-area projections: Balthasart, Smyth, Tobler’s world in a square and Trystan-Edwards (in the variant that was corrected by John P. Snyder) . Now, for the part that was more fun than the above compulsory exercise. The van der Grinten I is already included on this website since it was launched. Two and a half years later it is due time to add the less frequently used van der Grinten II, III and IV. – projections II and III were published years later. They are modifications of the van der Grinten I, which Alois Bludau introduced in 1912 . 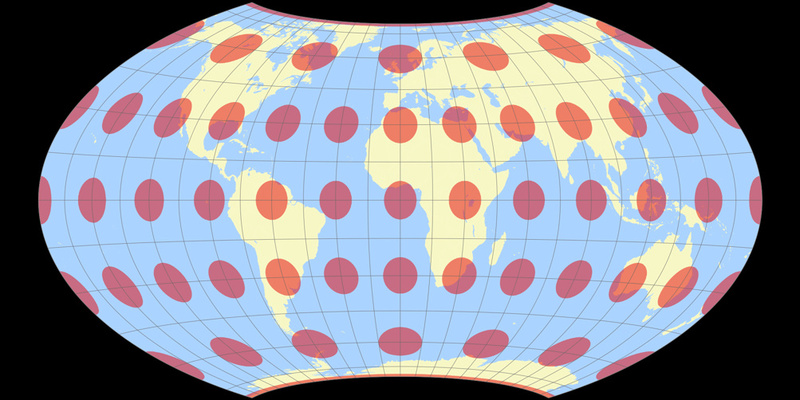 While working on van der Grinten additions, I came across the arithmetic mean of van der Grinten I and the Aitoff projection, which John J. G. Savard shows at quadibloc.com since 2007. Somehow, I liked this blend, so I made my own variant of it – in this case the weighting of the two mixed projections is shifted to 65% Aitoff and 35% van der Grinten. Because of this mixing ratio, I named this experiment Aitoff-van-der-Grinten 65. I don’t think it’s well-suited for any purposes except decorative maps. Next, I added three very unusual equal-area projections: Snyder’s tetrahedral projection, as well as two variants created by van Leeuwen/Strebe , the Parallel Small Circle Projection and the Vertex-oriented Great Circle Projection. The latter one will be handled in the near future in an own blog post. 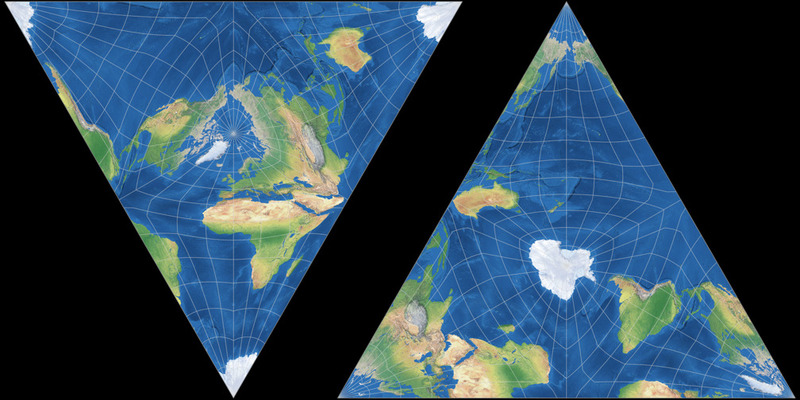 Since I always present the projections on this website in a rectangle with an aspect ratio of 1:2 and the tetrahedral projections only occupy a small part of this rectangle, I show them twice: once on the north polar aspect and once centered to the south pole. Who would want a strange projection like this? Gee, I already have so many Wagner-variants on my website! Nevertheless, two more will be added. and most importantly, I wanted a decent shape for Africa as well as Greenland. Now I was curious to see if I would succeed in creating another projection with these goals. I decided to maintain another feature of Wagner-Denoyer I, namely the slight curvature of the parallels. But this time I wanted to use Wagner’s method of Umbeziffern. In other words, generating a variation of Wagner VII/VIII. (See: Umbeziffern – The Wagner transformation method and the WVG-7). So I fired up the WVG-7, chose Wagner-Denoyer I as background projection image, and approached it first by setting a similar curvature of parallels, length of the pole line and extent of area inflation. As expected, this interim result was not quite what I had in mind (simply because the Wagner-Denoyer has a different graticule characteristic than a modified Wagner VII/VIII). So I carefully adjusted the configuration parameters until I came up with a result that I liked. The outer meridians are more curved than in the Wagner-Denoyer, but still correspond to my idea of being »not too curved«. The comparatively small area inflation of 1.14 at 60° N/S gave me the idea to try an equal-area variant. So I completely removed the area inflation and then modified the length of the pole line and the ratio of the axis again to achieve the above-mentioned goals. Did I get usable results? Oh yes: Happy New Year! 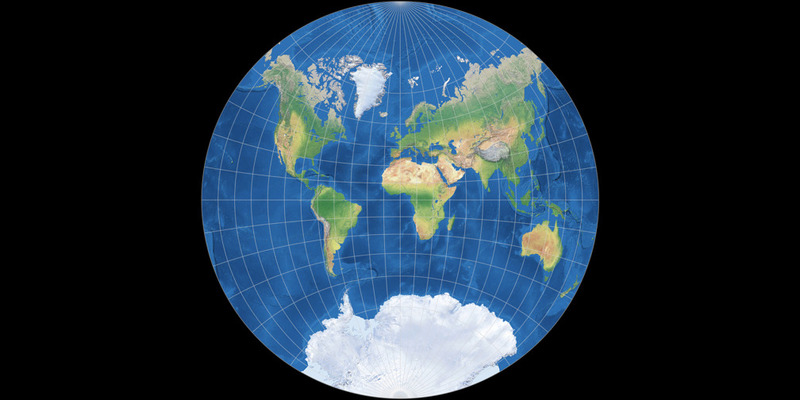 ↑ Snyder, John P.: Flattening the Earth: Two Thousand Years of Map Projections. 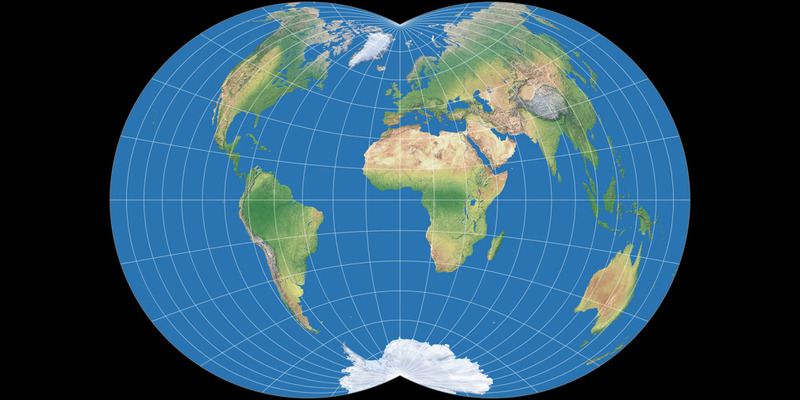 Another choice of standard parallels was made by Trystan Edwards (1953) of England when he tried to limit the »coefficient«» of distortion (which he defined as the ratio of the scale factor along the meridian to that along the parallel at a given point) in a zone between the Tropic of Cancer (23°27´ N latitude) and some more-northern latitude (as well as the corresponding southern zone) to between 4/3 and 3/4. 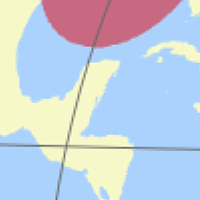 This required that the more-northern latitude be arccos (0.75 cos 23°27´) or 46°31´, with the standard parallel equal to arccos ((sqrt(3)/2) cos 23°27´) or 37°24´, to retain the equal-area feature. Edwards, however, chose a standard parallel of 50°52´, or arccos (0.75 cos2 23°27´), and thus did not achieve the desired distortion characteristics. I’m using Snyder’s correction here (standard parallel 37°24´), Edward’s original (50°52´) has been omitted. 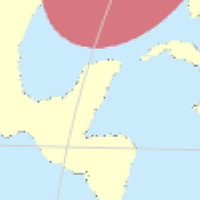 ↑ Map appears in Bruno Dietrich’s 1927 text. Formulae published by Kōzō Kitada, 1958. – quoted from the Geocart Manual, available at the Geocart download page.